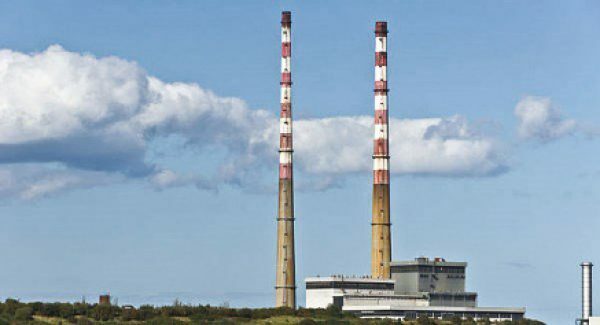 While speculation has centred on the future of the social and affordable housing agreement for Poolbeg West, the recent oral hearing has exposed the many competing agendas at play across the Strategic Development Zone (SDZ). The interests of the state-backed receiver, the City Council, planners, politicians, ministers, the Irish Port Company, various transport authorities, film producers, developers, environmentalists and local communities are all engaged in the c.34 hectares lying between Sean Moore road, Sean Moore park, Sandymount, and the sea. And many of those parties are now in open conflict. • The Irish Port Company and its tenant, Bisset Engineering who would like to have the right to raise a 20-storey tower. • The Port Company and Lens Media, who wish to create film studios on port-owned land. • The Development Agency and environmentalists who fear the impact on local wildlife. • Finally, between those who wish to build on the Eastern Bypass reservation, and the National Transport Authority (NTA) and Transport Infrastructure Ireland (TII) who insist that it be kept clear for a stretch of road that may never be built and is widely opposed. Even the official size of the SDZ lands has been challenged, with one of the appellants, Lens Media, measuring it at 38.1 hectares. Historically the exact size of the Poolbeg Peninsula has been a moot point. Look at old maps from the 18th and 19th centuries and the current lands do not exist – they were steadily reclaimed with increasing industrial use across strand and port areas. The largest single portion of the current SDZ was occupied by the Irish Glass Bottle Company, which closed in 2002. From that point on, its 10.1 hectares (25 acres) would embody the rise and fall, and rise again of Ireland’s property-driven economy. In 2006, the Dublin Port Company sold the site for an astonishing €412 million to Becbay Ltd., a consortium led by Bernard McNamara, Derek Quinlan, and the State-owned Dublin Docklands Development Authority (DDDA). Anglo Irish Bank lent €288 million for the deal. Its chairman, Seán Fitzpatrick sat on the board of the DDDA, and DDDA chairman Lar Bradshaw served as a director of Anglo. The value of D4 land seemed limitless. In fact, it was at its peak. Its fall would be even more dramatic. In 2009/10 the DDDA valued the property at just €50 million and by 2012, Becbay pegged it at €30 million – a mere 7.2% of its peak price. Some €100 million had already been spent on decontaminating the site. That same year, NAMA would appoint receivers to Becbay, and the Environment minister, Phil Hogan, would announce DDDA’s abolition; its ‘assets’ and prerogatives were finally transferred to the Council in 2016. The adjoining 11-acre site, which had been owned by Liam Carroll’s Fabrizia Developments, would now be grouped with the former IGB site in an effort to revive the c.14.7 hectares (36.2 acres). The revival was officially kickstarted In late 2015, when Council Chief Executive, Owen Keegan requested an SDZ designation from then Minister, Alan Kelly; this was granted in May 2016. But the request and the grant applied not just to the IGB/Fabrizia parcel but to areas to the North and East controlled by Dublin Port, referred to as ‘B1’ (23.4 acres) and ‘B2’ (32.6 acres). That designation has led to a series of increasingly bitter clashes over what those lands should be used for – and whose vision should prevail. At the April oral hearing, easily the most assertive presence was Tom Phillips, an experienced planning consultant working for Lens Media, whose eye has been trained on the ‘B2’ area for several years. Its partners, James Morris and Alan Moloney, view it as a near-ideal location for a set of international film production studios. But Lens Media is at a distinct disadvantage. Not only does it not own the site, Dublin Port has explicitly told the company that it will not sell or relinquish its land. Most of ‘B2’ will serve, perhaps in perpetuity, as a depot for shipping containers. Phillips went on the offensive – as recently as 2012, he pointed out, the Port Company had marked ‘B2’ as “non-core port land” and – as if the irony couldn’t be more pointed – had also consented to a planning application for a drive-in cinema on the same patch. Just days before the oral hearing, the Port Company released its revised ‘Masterplan 2012-2040’– in it both ‘B1’ and ‘B2’ were deemed essential to the port’s future. Estimates for trade have been revised sharply upwards; the Port Company would need all its land. Yet an even graver impediment to Lens Media’s €80 million venture is a set of dots arching across the Poolbeg SDZ map from Sandymount Strand, through the ‘B1’ and ‘B2’ areas and on to the Liffey. This describes the virtual footprint for the Eastern Bypass or M50 Dublin Port South Access Road. Or as Phillips called it, “the elephant in the room”. The Eastern Bypass has had a shadowy existence on various city plans for over forty years. It has been spoken of occasionally as an elevated bridge over Dublin Bay and more recently – but in no greater detail – as a tunnel descending somewhere in the Poolbeg peninsula, running under the sands and emerging past Sandymount. It has been repeatedly opposed by councillors and residents but has survived as an idea – the final piece in a road planner’s vision of a city ring road. Its path is represented on other maps by a swathe of hatching entirely covering ‘B2’, eating into the IGB/Fabrizia parcel, and covering most of ‘B1’. That hatching describes a ‘corridor’ in which long-term development is forbidden, until a precise route is set – which may be never. In planning terms, this is known as ‘land sterilisation’. Judging from a relatively brief statement at the hearing by Helen Hughes of Transport Infrastructure Ireland, TII feels under no pressure to firm up those plans any time soon. Neither government nor the Council have exerted visible pressure to do so, and the sheer expense and complexity of the task have placed it a state of perpetual limbo. Hughes did clarify that the TII was comfortable with full development of the IGB/Fabrizia site – despite hatching over its North East corner – but would block Lens Media, Bissett Engineering, or anyone else from building on ‘B2’, until the delivery of the bypass. Mr Phillips made his exasperation clear. Nonetheless, the impact of that ban has real implications for whatever housing and commercial developments are finally built on the IGB/Fabrizia lands, The closure of the Irish Glass Bottle factory was a blow to local employment, and Lens Media has promised to bring some 1,800 jobs in studio production and 1,000 in digital production to the vicinity. If the studios were built, they could be a major employer at the doorstep of a new community of some 8,000-10,000 people. Dublin Port’s activities are recognised as being vital to the city and the country as a whole, but port-related jobs (approx. 3,000) are likely to decline with greater automation. There is also the question of just how long a growing city can accommodate a facility that occupies so much prime land, but can afford to part with none of it. The Poolbeg SDZ masterplan sharply illustrates this facture. Within the IGB/Fabrizia plot, the Council has laid out a splayed village green, a broad central boulevard, a grid of apartment blocks of varying heights (between four and five storeys along the Sean Moore road and up to 20 storeys at certain focal points), and a raised linear park to follow the coast. The plan can certainly be criticised for its lack of architectural flair – no real-life examples of best practice are offered to prospective developers and the Council’s own CGI renders are numbing in their banality. Perhaps inspiration will strike when detailed applications are made, but the signs are not promising. But what is most striking is that, beyond a commercial buffer zone along South Bank road, there are no new streets or other structures indicated for ‘B1’ and ‘B2’. And none appear in any plans or mockups. Indeed, the South Bank road seems to come to a dead end right where the outline of ‘B2’ begins. Without dramatic change, the new community will be hemmed in by the sterilising path of the Bypass Corridor and bounded by the port activities that continue to flourish in its shadow. The Council’s vision could and should be brighter for the lands it controls; but for the remaining half of the Poolbeg SDZ it has offered no vision at all. How long this standoff between city, port, and phantom infrastructure can continue is anyone’s guess, but it may last years, and perhaps decades. After the hearing, James Morris of Lens Media stood in the lobby of An Bord Pleanála wearing a slightly rueful expression. I asked him how he thought it went. “Well, we got a fair hearing, but we were asking for more clarity, not a change.” As someone with decades of film experience, he was surely familiar with the concept of development hell.